I am so excited to introduce you to my blog swappin' partner today! She has a darling little blog and ETSY store so make sure you visit her! Hello "Every Crafty Endeavor" readers! I am Ashley, the face and voice behind Simply Designing and I am so excited to be here today guest posting! I am so excited to be guest posting here today. 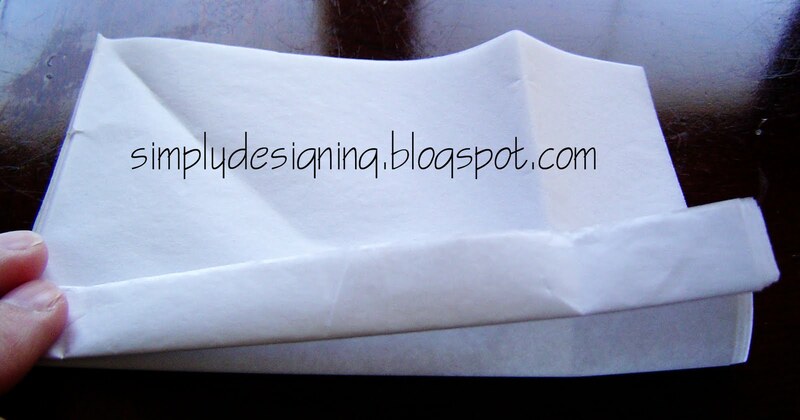 I am actually going to show off a new project and tutorial that I have not yet posted on my own blog!!! Ever since I found them, it has been one of my pet projects to find fun things to fill them with. Cute huh? I am really loving the simple tissue paper Pom Poms! 2. 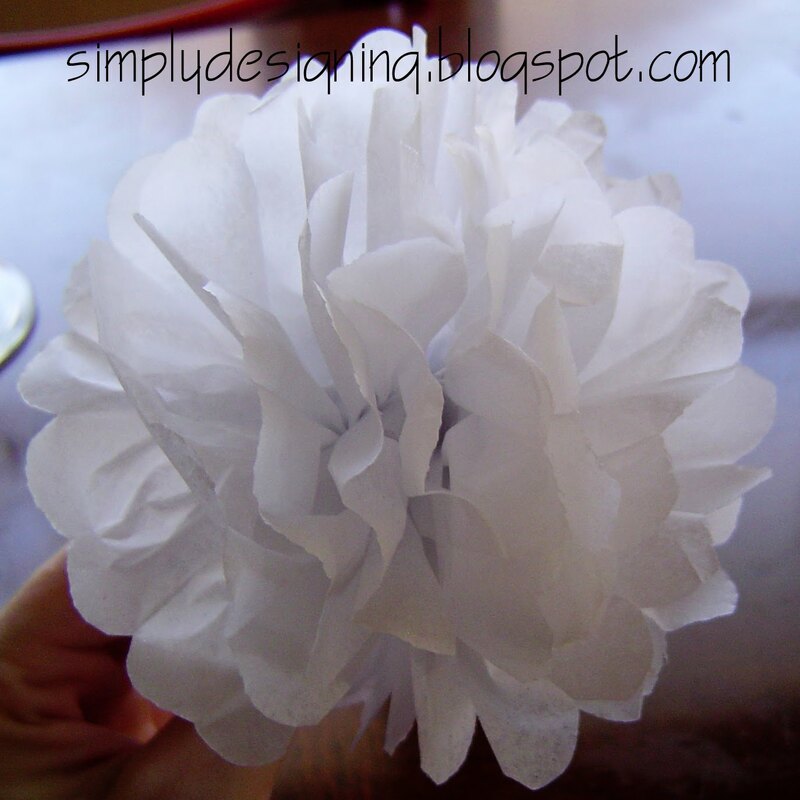 Cut a square out of the tissue paper the same diameter that you want your pom to be. 3. 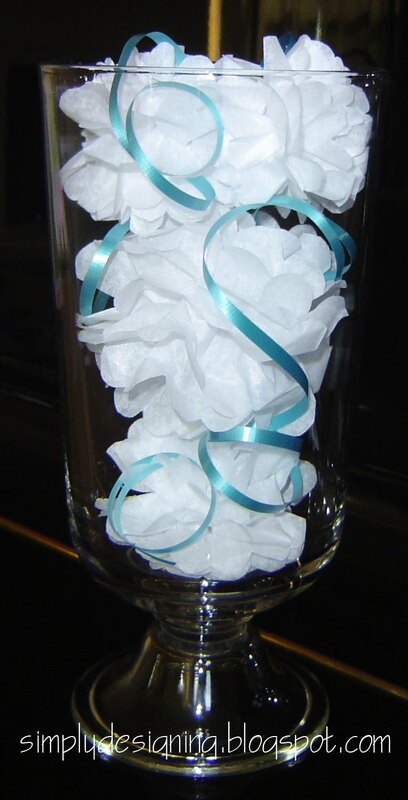 Fold stacked tissue paper accordian style (1/2" - 1.5" wide depending on size of pom). 4. Secure in middle using wire. 5. 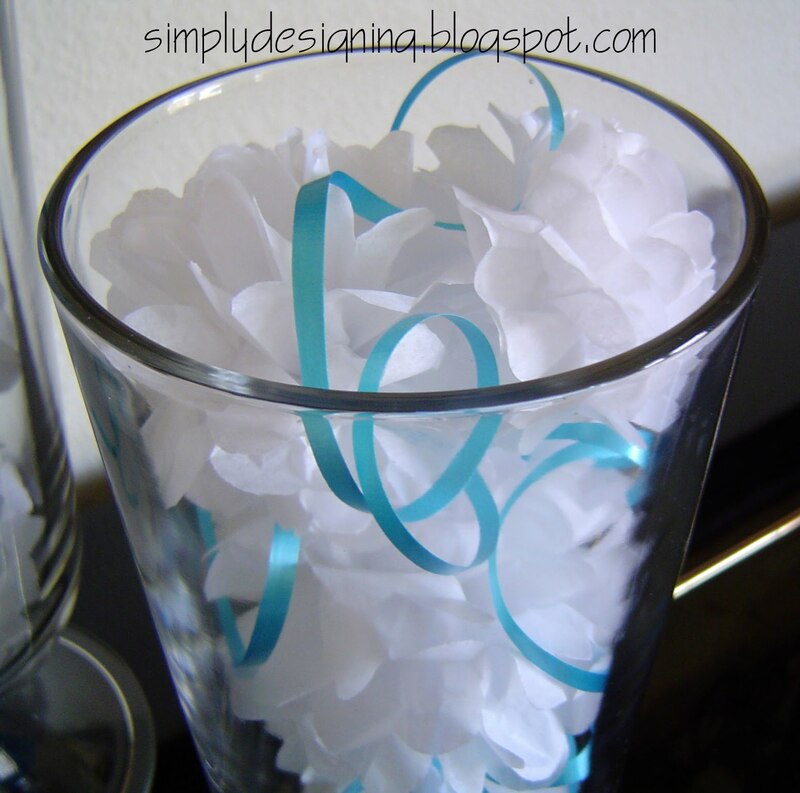 Trim ends in a rounded shape, or for a spunkier variation, you can cut the ends in points. 6. Seperate the layers, one at a time, being very careful not to tear tissue. 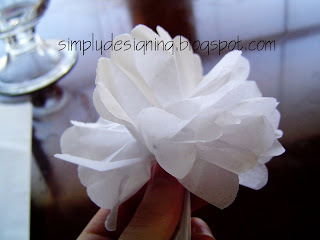 Arrange tissue layeres until the pom pom is formed. 7. 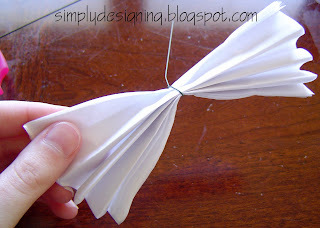 Use as is or attached nylon thread or clear fishing wire to create hanging pom poms! I just love how they turned out!!! I love the tissue paper pom poms!! Our family made a bunch for the backdrop in my sister's wedding last year. 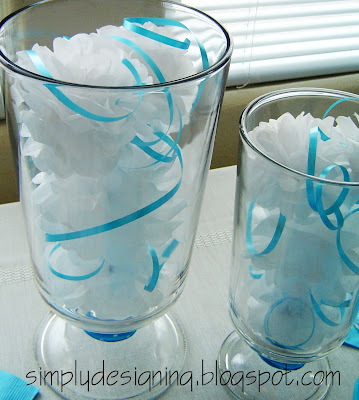 I have been so excited to use them in a backyard party...as soon as my backyard gets done. I'm very anxious!